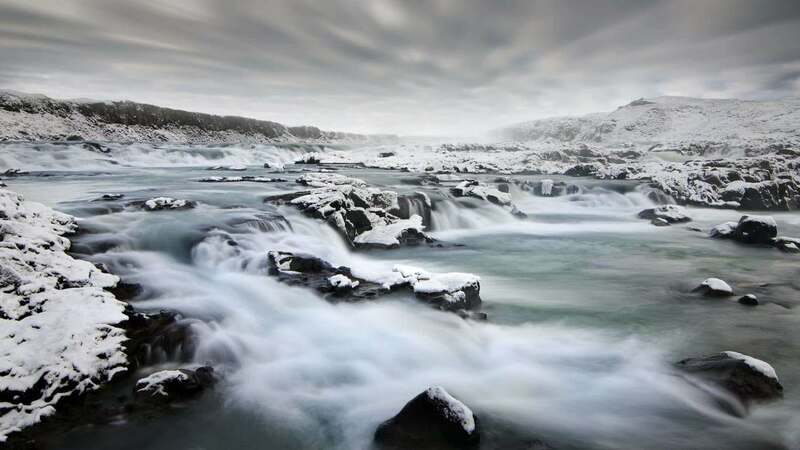 Iceland is dominated by water in many forms: rain, rivers, glaciers, oceans, lakes, snow and ice! You might say that every mountain is “leaking” 🙂 But that is actually true. 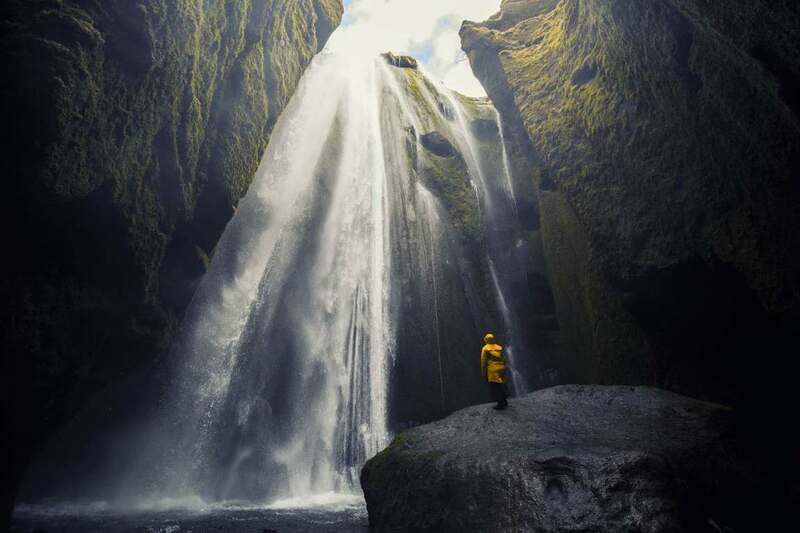 There are more than 12 000 waterfalls here! Some of them are easily accessible some of them require hours of hiking. 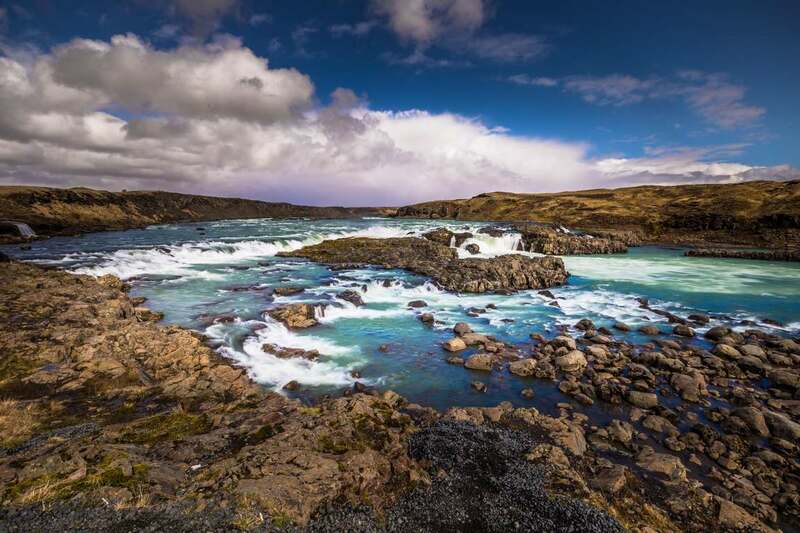 If you are looking for a comprehensive guide to waterfalls in Iceland, here we go. If you travel south this is one of the first “bigger” waterfalls. It is easily accessible by any car in summer, although the road is bumpy. In winter, conditions are more tricky. This is a secondary road, and without a proper offroad car I would not dare to venture there. This one of the few places left without crowds (yet). 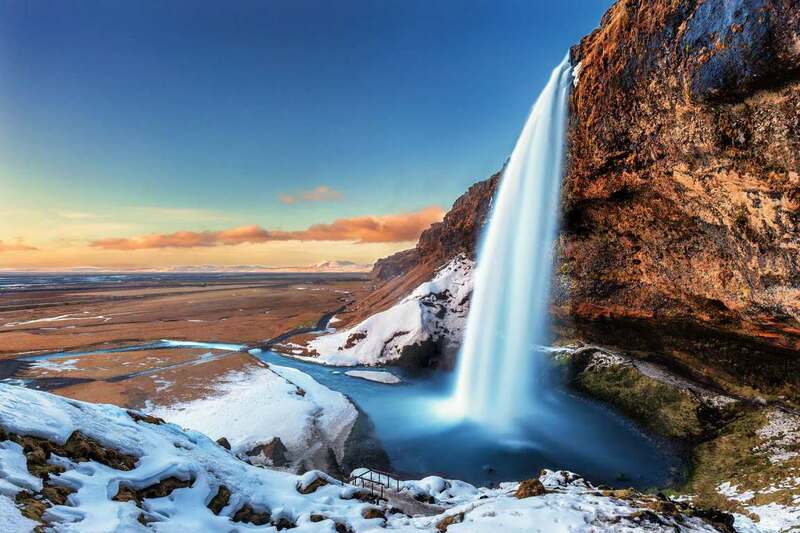 This waterfall is not the most spectacular in Iceland, but I would not skip it. 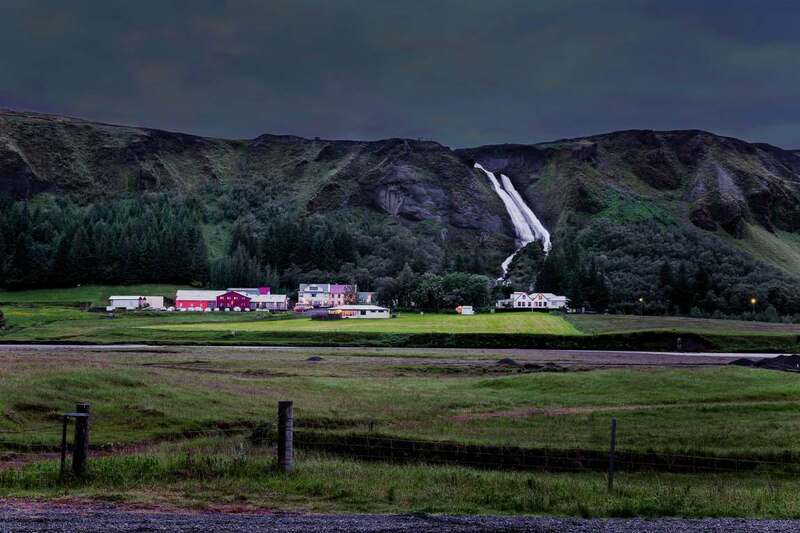 It is charming and secluded and makes for a great stop to straighten your legs on the way from Reykjavik. 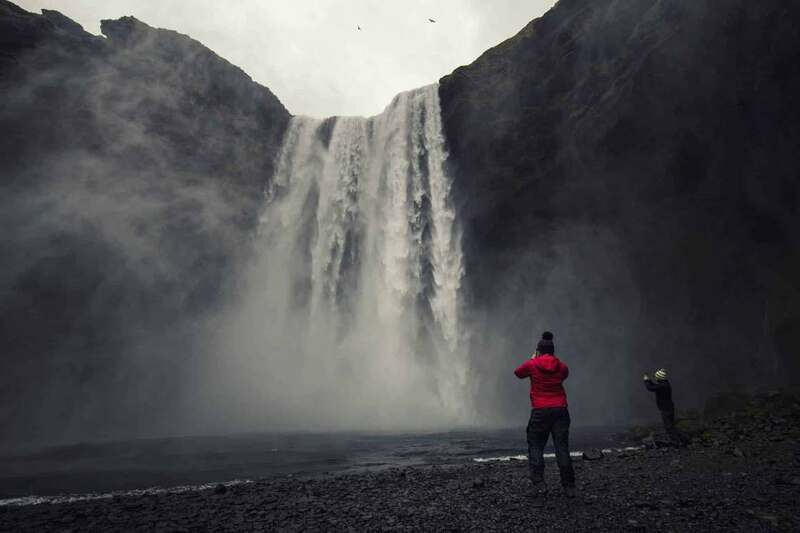 You can walk behind the waterfall, which is an amazing experience and you should not skip it. Yes, it means you will get wet, sometimes even very wet, but you can prepare ahead and buy cheap ponchos in shops. During winter the path behind the waterfall is closed, and do not attempt to go there. It is extremely slippery and the icicles can fell on you! There is a parking here, for which you have to pay (you don’t have to if you are coming with us 😉 ), stands with donuts and coffee and toilets. You will get wet. There is no other way. But believe me: when you walk out from the canyon you will have a big smile on your face and the feeling that you have just witnessed something sacred. 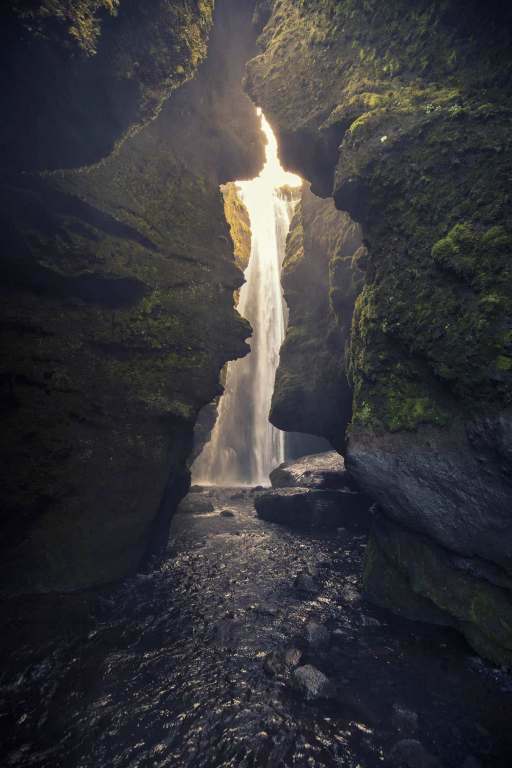 To find this waterfall you can simply walk 500 m to the left of Seljalandsfoss until you will see the small stream coming out of the very narrow canyon. Now the fun begins. You have to go into that stream and walk for around 20 meters. But you will have the goal in front of you the whole time and it is spectacular. Please remember to take good care of this place (and all other you visit). There is a campsite here. Oh my, oh my… ( what can I say: I love them all…;) ). 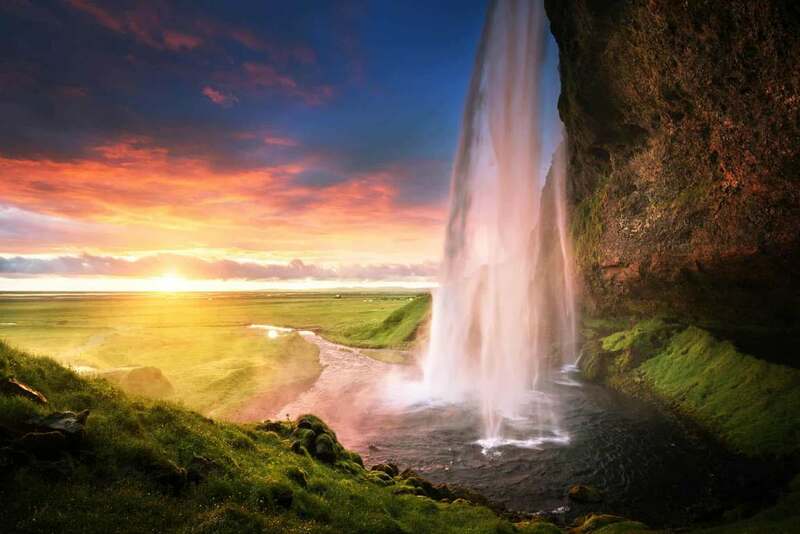 The Moment when this waterfall emerges from behind the mountain is breathtaking! 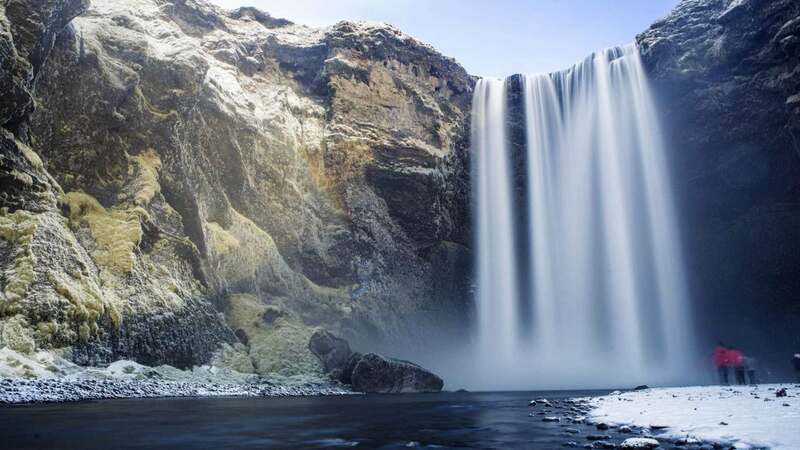 Skógafoss is easily accessible in summer and winter. You can walk all the way to the waterfall (in Summer) and feel the water on your face! There is also a path to the right of the waterfall, that will lead to the top. It is not a high climb, but the stairs are tall, which makes it quite demanding to walk all the way up. 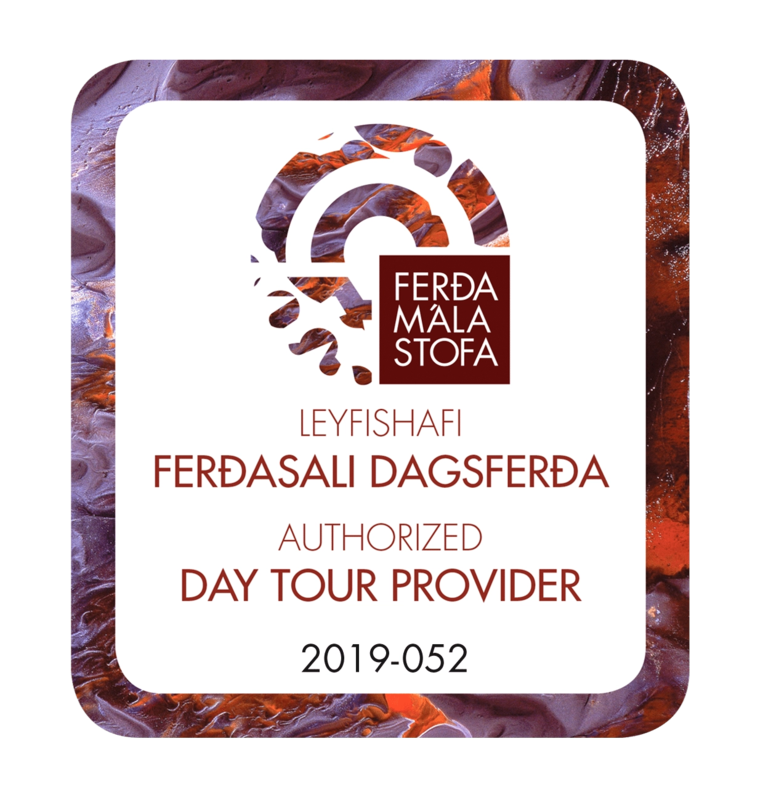 This is also a beginning of hiking and trekking trail which leads up to the pass Fimmvörðuháls between the glaciers Eyjafjallajökull and Mýrdalsjökull. It goes down to Þórsmörk on the other side and continues as the famous Laugavegur to Landmannalaugar. There is a campsite, few restaurants, and toilets. Not so famous, but equally beautiful like the rest on the south coast. It is located in the village Kirkjubæjarklaustur, next to the ring road. It is a good stop to eat something. There is even local swimming pool where you can relax after the long drive. “Systrafoss” means “sister falls”. A long time ago there was a monastery here and the waterfall was named after it. There is even a path that leads to the lake on top, which we highly recommend! 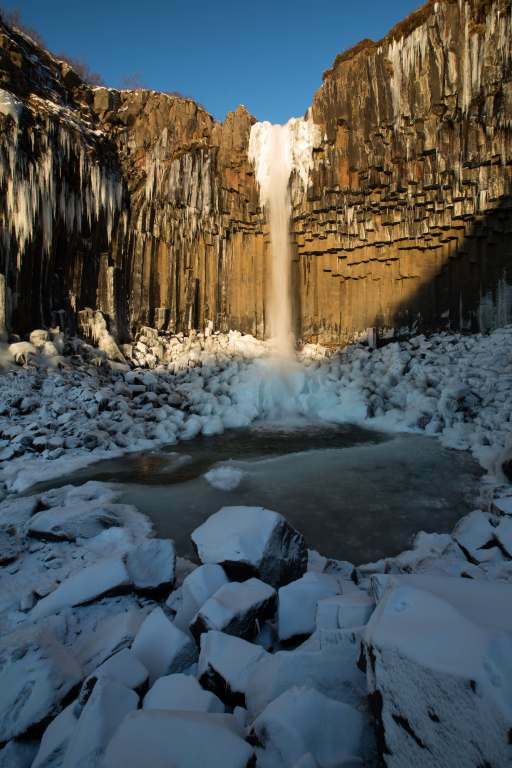 Famous for its basalt columns and short hike close to the biggest Glacier in Europe! 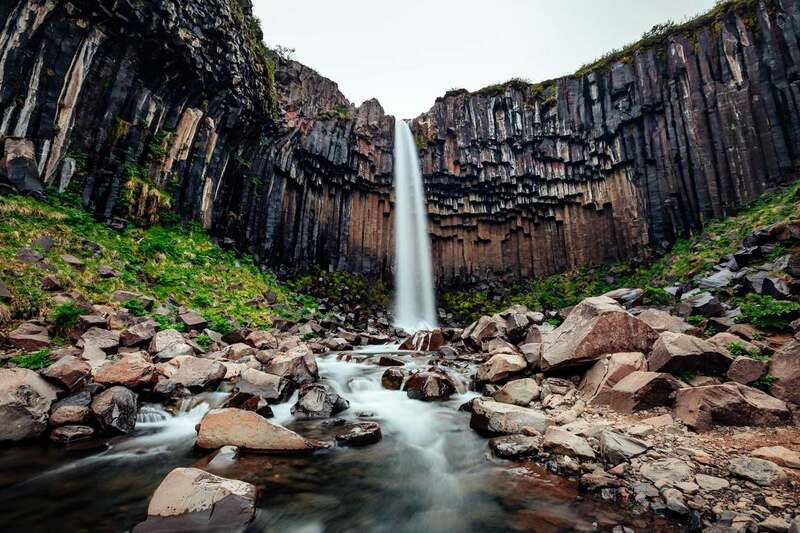 Svartifoss means ‘Black falls’. Simple right? The trail starts at the parking lot and is very well marked. 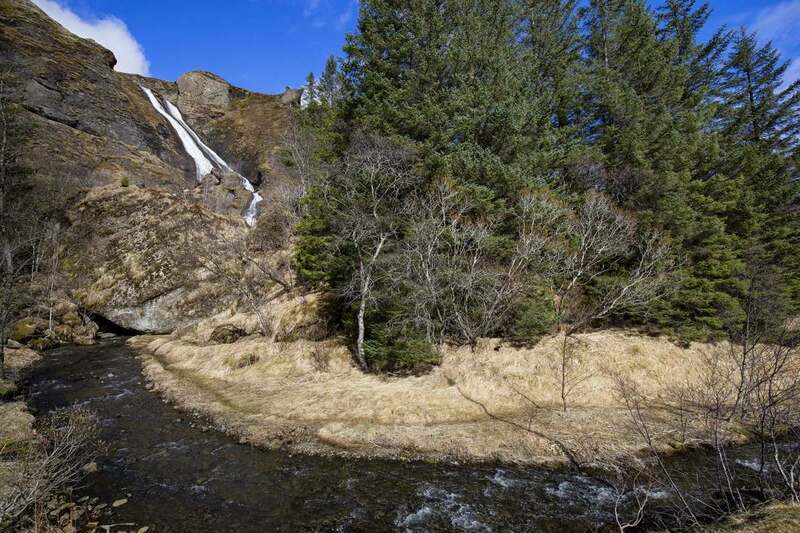 There are smaller waterfalls along the short hike: Hundafoss and Magnusarfoss which you can find on a provided map. There is also a visitors center and big campsite.